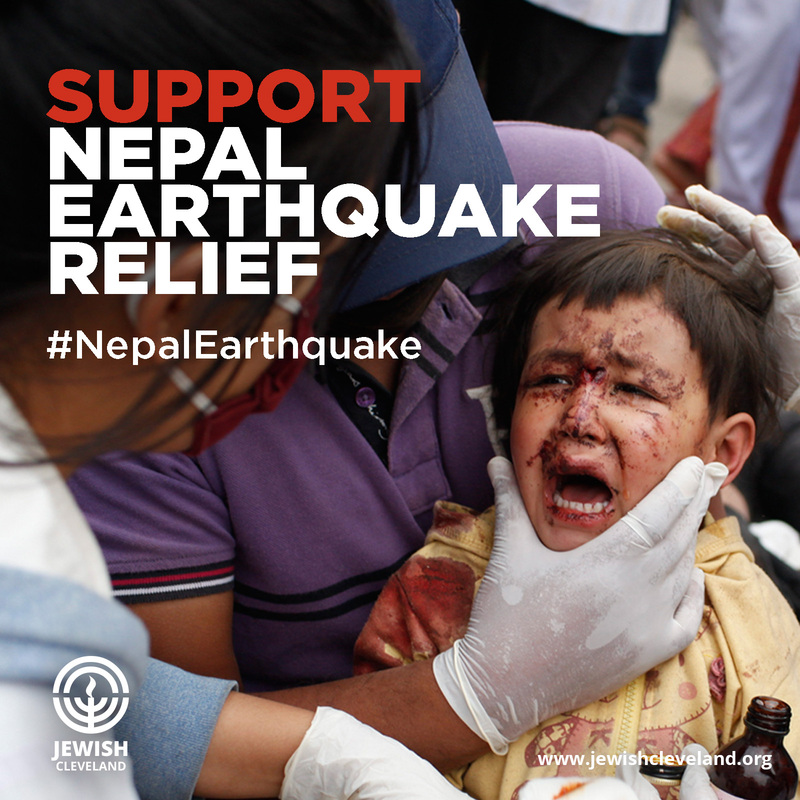 The Jewish Federation of Cleveland is mobilizing to help victims of the devastating 7.8 magnitude earthquake that struck Nepal on Saturday, April 25, leaving an enormous human tragedy in its wake. It has been estimated that over 4,000 people have been killed and thousands injured in Nepal, China and India. The United Nations projects the death toll to rise into the tens of thousands. The Cleveland Federation has already made an $18,000 grant from its Endowment Fund to help provide emergency relief on the ground in Nepal. A mailbox and online donation fund is now open. One-hundred percent of proceeds to the Nepal Emergency Relief Fund goes directly to relief efforts led by our national and international partners. Our national system, the Jewish Federations of North America (JFNA), is working closely with our international partners in assessing the situation as it unfolds. Our international partner, the American Jewish Joint Distribution Committee (JDC), is providing relief and medical supplies, including shelter, nutritional items, sanitation, and water. Israelis have not escaped the disaster. Approximately 2,000 Israelis are currently in Nepal and Israel’s Ministry of Foreign Affairs has said that at least 250 of them are still “out of contact,” their fate unknown at this stage. Meanwhile, Israel, world-renowned for first responders, sent an Israel Defense Forces (IDF) delegation to conduct search and rescue operations as well as establish a fully functioning field hospital including operating rooms, X-ray equipment and pediatric care.